Last week, the Denver Broncos and their fans had to be excited; Kirk Cousins, by far the best free-agent quarterback available this offseason, looked to be a perfect fit for the Mile High City. 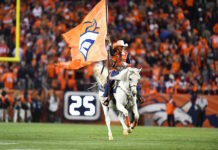 Sure, the Cleveland Browns had more money to offer, and the New York Jets had a bigger stage, but both clubs have been perennial losers, while the Broncos still sported much of their roster from a Super Bowl victory only two years prior. Cousins could get the money he needed from Denver, and potentially follow in the footsteps of Peyton Manning and John Elway as champions. Von Miller, arguably the most disruptive defender in the NFL, had been aggressively recruiting Cousins since the day Cousins and Washington shredded them in December. The Broncos wanted Cousins, and Cousins had to be intrigued by the possibilities… as long as Denver could scrape together the $30 million per season that it would take to sign him, of course. Pundits were already creating mock drafts with the presumption that Cousins would be wearing Broncos orange by St. Patrick’s Day. But this week, everything changed — and it’s now fair to say that Cousins is far more likely to be wearing purple and gold this fall instead of orange and blue. What’s worse? There’s not much Denver can do about it, either. The Minnesota Vikings, last seen in an NFC Championship game that they lost to the eventual Super Bowl championship Philadelphia Eagles, have more money, more recent success — and an even better fit for Kirk Cousins and his super-sized salary than the Broncos. The Vikings, instead of coming to a long-term agreement with quarterback Case Keenum prior to free agency — like the Jacksonville Jaguars did with signal-caller Blake Bortles following their AFC Championship loss — are set to let Keenum, Sam Bradford and Teddy Bridgewater loose into the wilds of free agency, leaving them with roughly $50 million dollars in salary-cap space, one of the best defenses in football, a plethora of playmakers on the offensive side of the ball… and no starting quarterback. In other words, they have everything the Broncos do, only better. And it starts with the head coach. Vikings head coach Mike Zimmer is well-liked, well-regarded and accomplished. In contrast, Broncos head coach Vance Joseph apparently only avoided being fired after only one season after Elway slept on the decision and decided that was more of a shake-up than he preferred to deal with this offseason. If you were Kirk Cousins, which situation would look better to you? Stability matters for creatures of habit, like quarterbacks. Moreover, Zimmer’s new offensive coordinator is West Coast offense specialist John DeFilippo, who last served as Philadelphia’s quarterbacks coach before replacing Pat Shurmur (who became the Giants’ head coach). In contrast, Joseph’s offensive coordinator Bill Musgrave took over from the fired Mike McCoy in midseason, another comparison in which the Broncos’ relative instability looks much worse from the outside. The West Coast offense, by the way, is what Cousins has been running with success for his entire career. 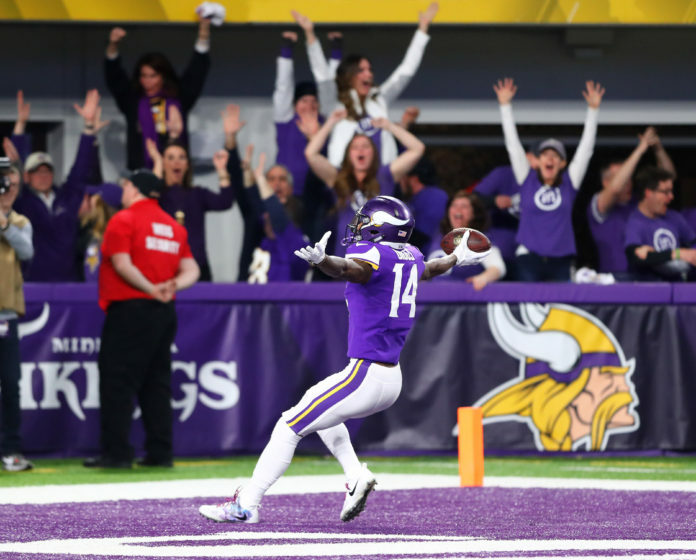 While the Broncos tout wide receivers Demaryius Thomas and Emmanuel Sanders as strong selling points — and they should — the Vikings’ duo of Adam Thielen and Stefon Diggs aren’t much worse. On top of that, the Vikings have Kyle Rudolph at tight end and a much better offensive line. Denver’s C.J. Anderson had his first 1,000-yard rushing season in 2017, gaining a total of 1,231 yards from scrimmage, or an average of 76.9 yards per game. However, before suffering a season-ending injury, rookie runner Dalvin Cook was averaging a whopping 111.0 yards per game before his potential Rookie of the Year campaign was derailed. 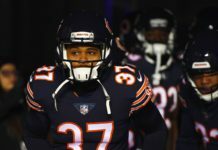 Cook’s expected to be ready to go by this summer’s preseason, providing another weapon in for the Vikings that the Broncos can’t hope to match. Put simply, Minnesota’s talent is at least comparable to Denver’s — and quite possibly even better — they’re much further along the road towards building a Super Bowl contender, they have much more money to offer than the Broncos… and then there’s Vance Joseph and his staff, which pale in comparison to Mike Zimmer’s in Minneapolis. This free-agent chase might be over before it truly began; it’s almost incomprehensible how any experienced football observer could find Denver to be a superior destination for the 29-year-old Cousins at this point. The truth hurts. Elway famously said “there is no Plan B.” In three weeks, it appears that Broncos fans will find out if that’s true — the hard way.